Monstar is a raucous tale of high school students busy figuring out life and each other via musical talent and teenage angst. Marking Mnet’s first foray into drama, Monstar premiered on May 17th. The story stars Yon Jun hyung (of the group BEAST) as Yoon Seol chan, an idol (way to stretch reality) who has his life turned upside down with a viral video. In order to right his supposed wrong he must attend high school for three months to improve his image- long enough for him to meet our heroine, Min Se Yi (Ha Yeon soo). An oddball socially naïve girl, Se Yi is facing her own struggle as a transfer student figuring out where she fits in with the strong personalities of her home room class. At first I was extremely hesitant to watch this show-a drama billed as a musical story of high school made me cringe in anticipation of a Zac Efron like production. I am happy to report that this drama pushes the High School Musical vibe far, far away and goes for the heart of the matter- what it is like growing up. I am a coming of age tale junky (hello Wonder Years) so I feel right at home cheering this show on. The story as of episode two is a tale of glimpses- small hints at each character’s past lives and how they play into the future. It is apparent that the foundational moral of this story is that everyone acts a certain way for a reason. Once those reasons are found out relationships can be formed and people can grow past the painful bumps in their past. As of episode two we have only witnessed teasers of our character’s motivations- Na na’s gangster fighting ways for example- that promise an interesting story to come. Yoon Seol chan, our hero, is appropriately egotistical but vulnerable, a mixture of traits that give viewers a look at someone who is the envy of many but an enemy of himself. We have yet to find out what is the root of Seol chan’s vulnerable side (I am guessing super duper family drama) but his emotional wound is apparent. On a non-story note I am really loving Yon Jung hyung’s acting. His portrayal of Seol chan is reminiscent of Siwon’s recent turn in the understated gem King of Dramas- an egotistically fabulous idol superstar that is perplexed when people don’t like him. Min Se Yi, our heroine, gives off an out of this world eccentric vibe that does nothing less than make her uber endearing. She exhibits social blindness in her responses to others and in that way I find that this character (unlike other heroines that have tried and failed) oddball in the best way. I love how Seol chan is shocked that this girl is not his fan or an anti-fan- basically he is depressed by the fact she is neither black nor white in her response to his precedence, she is unknowing. In my opinion that makes this character that much more enjoyable given their burgeoning romance. The secondary characters are no less interesting. The third leg in the romance of Monstar is the class president, Jung Sun woo, a person so bound by rules he ignores bullying in an attempt to keep social order. Sun Woo and Seol chan apparently have a history together, an element that has yet to be explained. I am thrilled to see where these three characters go and how the two brooding boy’s past is explained. Lead characters aside I am really excited to learn the backgrounds of the other characters in this show, after all I love me a character laden plot. Monstar has delivered the different-personalities-thrown-together dynamic in a great way so far, can’t wait to see where it will go. From Na na, the gangster fighting bad girl, to Radio, the bullied boy that is traumatized beyond belief, I need to know how their stories started. My desire to learn the background of these characters and understand their stories speaks to the addictive nature of this show- I want more. A story that makes me actually care about the characters speaks volumes to how the show was cast and written- after all a bad actor or bad writer can kill all good intentions and viewer interest. Lastly, I love how this series masquerades as a romantic musical comedy while really telling us a coming of age tale. I am a sucker for this type of story- I feel like Monstar and I should exchange numbers so I can text the show I am sorry- for ever having doubted it. What do you think? 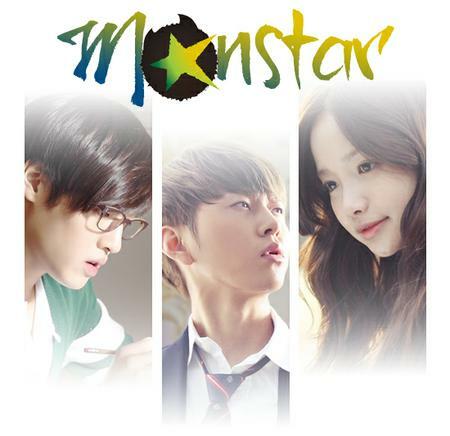 Is Monstar a coming of age hit in your opinion or a Mnet failure? For an idol-fueled drama, I am thoroughly impressed. I like Beast so I was always going to watch it for Junhyung. However, so far I’m sticking around for the story and and startlingly real characterizations of people who should be normal, classic Kdrama characters. Also, I can’t help but sympathize with Seol Chan’s fan-harrassed lifestyle. And maybe Junhyung’s not ever going to be a fantastic actor, but figuring the high probability that he’s had to deal with these in his own life makes his portrayal here at times heartbreaking. I agree- it is likely that Junhyung has been through many of the incidents he portrayed so far in this drama. I think that must bleed over to his portrayal of Seol chan in a realistic way. There’s a quietly positive buzz going on about this drama. I can’t pick up a new show right now… but I’ll be keeping a careful ear out on this one. I love your early episodes breakdown, by the way. It’s the perfect mix of informative but not spoilery. Which is hard to do, but you’ve done it. Please do not take this the wrong way but, I am soooo upset with you!! Why you ask? Because I read this post and Ill check its out. And now I’m hooked and have to wait for the next episode …………..agioo!!! Thanks for getting me hooked! I have so many questions and thoughts on each character. I started reading your comment and thought “oh no!” then I read on and smiled. I am happy you like this show, it is really good. What do you think of the characters? I cannot help but want to know their backgrounds and the reason for their personalities. I love this show so far! I love the characters so far!!! I just do not want the writers to rush the story, because there is so much going on. How are they ever going to fit it all in 12 episodes???? 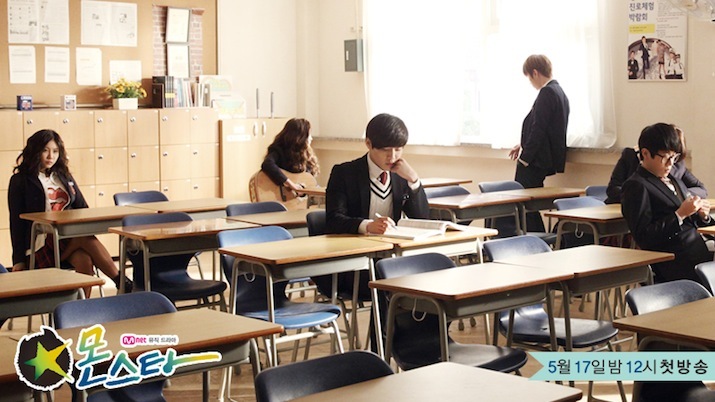 The characters…….Seol Chan, seems like he is a lonely kid that really misses his mother, which had a flash back of. He got into the business to have people around only to realize it is worst, because everyone wants something from him. And of course he falls for the one person who does not know who is or wants anything from him.Yeon soo, who has her mother issues! What did her mother do to her father, kill him made him leave family??? I have so many questions. And then you have Sun woo, who seems to have a past with both of the leads….like did Seol chan mother run with Sun woo father. He seemed to make a reference to something about an old lady. As he said under his breath to Yeon soo, you still play the guitar, or how he was outside her house and said you still live in the same place. Was she his first love and ran away after whatever happened to her father??? More questions……And then we have the whole of the others like what kind of debt does Na Na have that she is working in a club??? Why cant Do nam do Ti kwon do anymore? Since he cant do that he plays the muscle to fit in??? Radio, what is his history with Do nam, as he was beating him up Do nam said to him you know why im like this, right??? And Radio just looked at him. Somehow they are all intertwined in each others lives outside of just going to school together. I could probably go as my mind just starts to wonder about each character, and how this show will play out. I can say with out a doubt out of all the K Dramas I have watched over the last few years, this is the first one where I dont feel like I know what is going to happen next. I hope that the writers, continue in this vain, I would hate to have falling in love with a show and get to the middle and it not be worth watching the rest. Sorry I went a little overboard, my drama buddy is out of the country. Thanks for listening to me rant. = ) I love your post by the way. I agree- how will they fit the potential of this story into 12 episodes?! Seol chan and Yeon soo seem to have a bond formed in the unfortunate reality of their individual pasts- what that past is has yet to be revealed. Radio and Do nam hint at an emotionally damaging origin story while Na-na seems to remain the wildcard (who knows how she got where she is). One thought I have had about these characters is how much Na na and our Class President would suit each other (okay, I admit it. Maybe I am cheering on our lead couple a little bit). The orderly and the chaotic, I see great things in these characters lives if they hook up (well…at least character growth great things). Time will tell but it is safe to say I will be eagerly awaiting each episode.